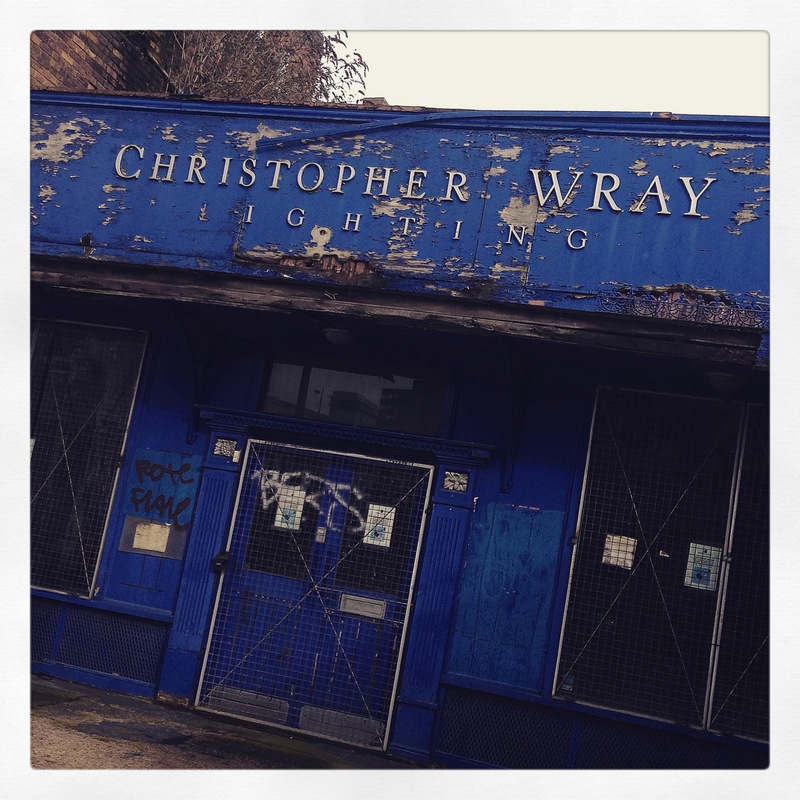 The old catalogues for Christopher Wray’s Lighting Emporium were as beautiful as the lights themselves. Thumb thick, with heavy gauge matte paper and deft touches of spot varnish, they oozed quality. And turning page after page, lights of all denominations: art nouveau, deco, modern & antique, restorations, Moorcroft bases, Tiffany lanterns. At one point, this was the largest chain of lighting shops of the country; manufactured mainly in Birmingham, in an old brick factory just off a ring road. It was precariously placed, like a wizard’s home that should remain unseen but peeks through the dimensions into ours. The company is still going today, but in reduced circumstances. This picture tells a tale: the retail shop front, recently abandoned, sits in a tumbling brick former factory; slate roofs of different pitches; curving and angled drainpipes dash across precipitous voids; prominent chimney stacks, sprouting ferns and Buddleia. It would have been, in its Victorian heyday, a works, a crucible of industry. Today, it stands next to Birmingham’s ThinkTank – a futuristic building taking inspiration from the industrial past and Birmingham City University, an institution promoting, amongst other things, a scientific tomorrow. It is a curious juxtaposition.